The Agency for Science, Technology and Research (A*STAR) continues to forge ahead on its mission of advancing science and developing innovative technology to further economic growth and improve lives. It is at the forefront of innovative, economic-oriented technology research. 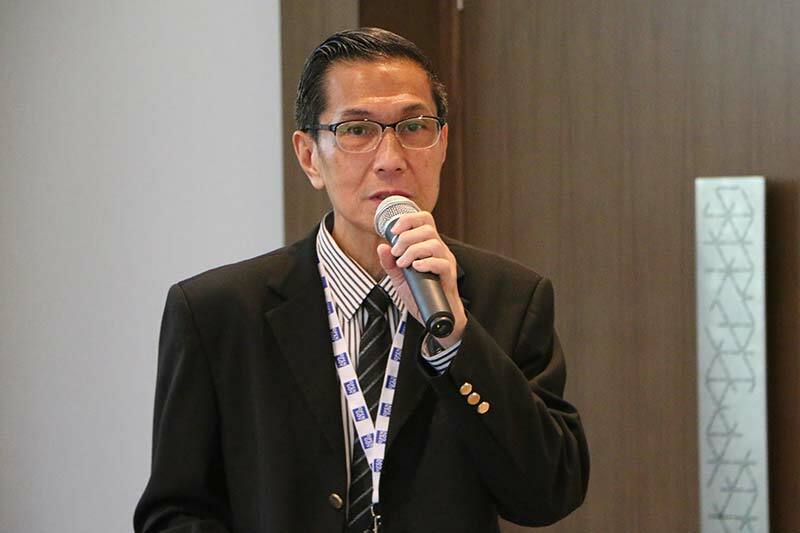 OpenGov spoke to Dr. John Kan (above), Chief Information Officer (CIO), Information Technology Shared Services at A*STAR to learn about the agency’s key role in Singapore’s Smart Nation Programme. Mr Max Tsang, Deputy Director, Information Technology and Services and Dr. Govindasamy Rajasekaran, Head, IT Planning & Communications also provided inputs. The agency is driving progress in many areas, such as new forms of Big Data management, mobility, next generation networks and supercomputing. A*STAR is one of the core partners for the achievement of Singapore’s Smart Nation Vision. The agency has signed Memorandums of Understanding (MOUs) with the Infocomm Development Authority of Singapore (IDA) and works with the Smart Nation Programme Office (SNPO) under the Prime Minister’s Office in Singapore. A*STAR has also created a unique Storage on Demand (SOD) model. It is a storage-as-a-service or a utility storage model. Traditionally, organisations invest in storage systems, which require maintenance and upgrades, every few years. With SOD, users can seek and use storage according to their requirements and expand whenever they need. The usage by individual end-users can be tracked based on a unique algorithm. The storage itself can be easily bought from several vendors in the market. It’s the management software to map the end-user to the actual storage being used in the main systems, which makes this system radically convenient. It is easy to track how much they use and charge them based on the usage. It is implemented using A*STAR&apos;s on-premise data centres. A*STAR is also using virtual machines (emulations of computer systems) in the Green data centres, thereby saving power and storage space and reducing the carbon footprint. A*STAR has successfully developed a procurement management system (ePRS) to automate the procurement process. Other government agencies have expressed interest in adopting the system. It is used for validation as well as prediction. The objectives were to reduce human error, use analytics to predict purchases and enable cost-savings through demand aggregation and helping the organisation to highlight red flags or anomalies in procurement. As part of this A*STAR came up with a random number generator to perform sampling checks, in order to find lapses in procedure. The system is connected to the ERP, so that A*STAR can run the analytics algorithm on procurement data, extracted from the ERP databases. The A*STAR Data Analytics Exchange Platform (A*DAX) is a leading research project in the Urban Systems Initiative. A*DAX seeks to aggregate information from different government agencies. The platform handles static and real-time public and commercial data. This will help in using analytics tools to derive insights for decision-making and facilitate sharing of information among different agencies. Supercomputers will be used for analysing the data. The vision is to create a City Dashboard through which government agencies, businesses and people are able to make informed decisions and respond to dynamic conditions in the city. “We are improving Situational Awareness by establishing control centres, where you can see aggregated information on the screen at the same time. It can be used for controlling the MRT, monitoring essential services such as utilities”, Dr. Kan said. IoT is a key aspect of the Smart Nation Programme. A*STAR is spearheading research into manufacturing technologies and analysis of feeds from CCTVs. The agency is working on the most efficient ways to absorb information from IoT devices, including robots or automation equipment on shop floor. The SoundEye system is an example of an IoT application. It was developed for the welfare of elderly people in the community. Intelligent sound and motion sensors are used to monitor their movement, without the intrusive use of wearables or cameras. If they are living alone and suffer a heart attack or a fall, the sensors will detect the abnormal sound, like a scream or shout or the prolonged absence of movement and send an alarm to pre-defined mobile numbers. It can also be used for monitoring the movement of young children at home. A*STAR allows employees to bring their own devices to the office, the practice known as BYOD (Bring your own device). They can use them for research work on the open network, boosting productivity. Robust security measures have been implemented to protect valuable data. Another aspect of mobility could be related to artificial intelligence and computer-brain interfaces. For example, disabled people could control equipment using sensors implanted in the brain. A*STAR has also implemented mobile solutions like a Mobile Incident Reporting Application (MIRA) within the organisation. Considering the ubiquity of mobile devices, it is easy for staff to report the unexpected incidents. They can simply take out their mobile device to capture the incident and report it to Infrastructure Planning and Facilities Management (IPFM) or Health and Safety Executive (HSE) for action. HSE/ IPFM obtain a clearer picture by looking at the photo taken. Consequently, the organisation can have a safer and better working environment. Other applications developed in-house include one for tracking files in the legal department, using RFID (Radio-frequency identification). On another front, the agency is also working with the Land Transport Authority (LTA) on autonomous vehicles. The vehicles are already being tested on road. It is a part of urban mobility under the Smart Nation Programme. A*STAR has developed an ‘Application Catalogue’ to promote the adoption of the various applications by improving their visibility. Some applications, including legacy ones, within research institutes might not surface otherwise. Staff might be continuing to use manual processes due to lack of awareness of A*STAR applications. Through the catalogue, all applications regardless of scale will be tracked. Any department or research community can consult the catalogue. A*STAR is developing a security-in-depth framework, encompassing the five pillars of governance, policy, compliance, process and technology. As mentioned earlier, strong security has been factored into devices permitted under BYOD. All standard steps, related to encryption, authentication, data classification, educating users, regular external auditing and tie-ups with security partners are stringently followed. Critical systems are monitored on a 24/7 basis. A*STAR has established an after-hours call centre and implemented automated website monitoring alerts, ensuring timely information sharing and effective response to security threats and incidents under a SIEM (Security Incident & Escalation Management) framework. DRP (Disaster Recovery Plans) were enhanced through mutual backup to NTU’s data centre on a reciprocal basis. A*STAR’s data centres are ISO 27001 certified. A*STAR is also FIRST certified by IDA (Forum of Incident Response and Security Team- FIRST is an international confederation of trusted computer incident response teams, who cooperate to handle security incidents and promote incident prevention programmes). It is reflective of a very high level of security achievement. While leading the way on cutting-edge technologies, A*STAR continues to strengthen cybersecurity measures to deal with escalating threats.